Her impact will be felt for a long time to come. Jacqui visited our little corner of the world for the first time this March. During her visit, I had the opportunity to witness her in many roles: Facilitator at a small training, speaker at two large events, and as a wonderful human being during all the spaces in between. Whatever role she was in, Jacqui was engaging and down-to-earth. She offered her perspective in a way that was accessible to all and – in some instances – lead to perceptible changes in the way people regarded others or themselves, their lives and the potential for their future. Following Jacqui’s visit, more than one individual went out of their way to report that they felt she was the best speaker they’d been offered the opportunity to experience. Several individuals began brainstorming ways to bring Jacqui back to the area in the future to reach even more people before she’d even departed. Ultimately, her presence, personal story and unwavering values helped to strengthen our community and build momentum for change and the development of the Hearing Voices Network in the Unites States. Her impact will be felt for a long time to come. 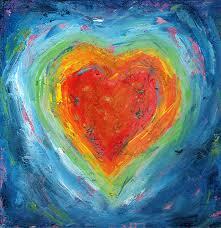 Sera Davidow, Director, Recovery Learning Community, Western Massachusetts, USA. http://www.jacquidillon.org/wp-content/uploads/2017/05/jacqui-logo.png 0 0 Jacqui http://www.jacquidillon.org/wp-content/uploads/2017/05/jacqui-logo.png Jacqui2011-04-14 09:09:342011-04-14 09:10:27Her impact will be felt for a long time to come. 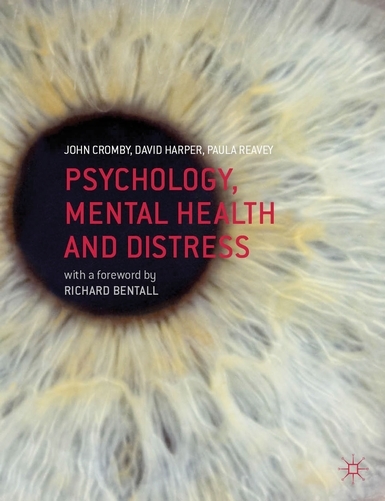 Psychology, Mental Health and Distress is a groundbreaking new text from John Cromby, David Harper and Paula Reavey. Whereas other texts are structured by diagnostic categories and are biologically reductive, this book places biology as well as the experience of distress itself in its social, cultural and historical context. Features additional contributions by renowned figures including Professor Richard Bentall, Professor John Read, psychiatrist and researcher Joanna Moncreiff and campaigner and Chair of the Hearing Voices Network, Jacqui Dillon among others. 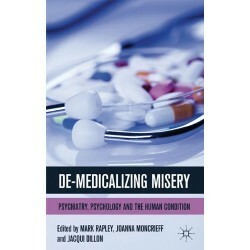 Demedicalising Misery: Psychiatry, Psychology and the Human Condition. Demedicalising Misery: Psychiatry, Psychology and the Human Condition. Co-edited with Mark Rapley and Joanna Moncrieff. Published by Palgrave Macmillan. Thomas Szasz (1960) suggested that the myth of ‘mental illness’ functions to ‘render more palatable the bitter pill of moral conflict in human relations’. The medicalization of distress enables the mental health professions to manage the human suffering that they are confronted with, and also the suspicion that there is little that they can do to help. But the medicalization of misery and madness renders people unable to comprehend their experiences in ordinary, meaningful terms. In this collection we restore to everyday discourse a way of understanding distress that, unlike contemporary psychiatry and psychology, recognises and respects the essential humanness of the human condition. De-medicalizing Misery is a shorthand term for this project. The book resists the psychiatrization and psychologization of human experience, and seeks to place what are essentially moral and political – not medical – matters back at the centre of our understanding of human suffering. ‘The psychiatrist or psychologist is expected to do something for every patient sitting in front of him or her, but how robust is the intellectual basis of psychiatric science when psychiatric ‘diseases’ are merely symptom clusters – clustered by us, not by nature? We are in indeed in the age of the medicalization of everyday life, when Lord Layard, economist and architect of the IAPT programme, can write in the BMJ that ‘mental illness’ has taken over from unemployment as our greatest social problem. But what is the test of ‘mental illness’? In DeMedicalizing Misery the authors examine some of the domains lamentably absent from orthodox psychiatry and psychology training programmes, with their medical model focus, and in so doing raise the IQ of the whole debate. And not just for clinicians.’ – Dr Derek Summerfield, Consultant Psychiatrist & Senior Lecturer, Institute of Psychiatry, King’s College, London, UK. Authors: MARK RAPLEY is Professor of Clinical Psychology at the University of East London, UK. He is the author of The Social Construction of Intellectual Disability, Quality of Life Research and, with Susan Hansen and Alec McHoul, Beyond Help: A Consumers’ Guide to Psychology. JOANNA MONCRIEFF is Senior Lecturer in the Department of Mental Health Sciences at University College London, UK and a Practising Consultant Psychiatrist at the North East London Foundation Trust. She has spent her academic career re-evaluating the nature and efficacy of psychiatric drugs and exploring the history and politics of psychiatry. She is the co-chair of the Critical Psychiatry Network, and has campaigned against the dominance of the biomedical approach to psychiatry, the extension of psychiatric coercion and the influence of the pharmaceutical industry, in alliance with service user groups. She is the author of The Myth of the Chemical Cure (Palgrave Macmillan), A Straight Talking Introduction to Psychiatric Drugs, and numerous papers and book chapters. JACQUI DILLON is the National Chair of the Hearing Voices Network, UK, and a Director of Intervoice – the International Network for Training, Education and Research into Hearing Voices. She is a campaigner, international speaker and trainer specialising in hearing voices, psychosis, dissociation and trauma. She is the co-editor of Living with Voices: An Anthology of 50 Voice Hearers’ Stories of Recovery. She has published numerous articles and papers, is on the editorial board of the journal Psychosis: Psychological, Social and Integrative Approaches and is a member of the collective for Asylum, The Magazine for Democratic Psychiatry. http://www.jacquidillon.org/wp-content/uploads/2017/05/jacqui-logo.png 0 0 Jacqui http://www.jacquidillon.org/wp-content/uploads/2017/05/jacqui-logo.png Jacqui2011-04-10 10:56:492011-10-21 16:45:43Demedicalising Misery: Psychiatry, Psychology and the Human Condition. Foreword to David’s Box: The journal and letters of a young man diagnosed as schizophrenic, 1960-1971. 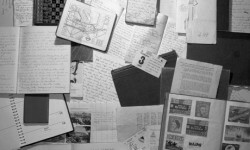 A positive piece published in the Guardian, 5th July 2011 by Mary O’Hara about this important new book – David’s Box: The journal and letters of a young man diagnosed as schizophrenic, 1960-1971, for which I have written a foreward. http://www.jacquidillon.org/wp-content/uploads/2017/05/jacqui-logo.png 0 0 Jacqui http://www.jacquidillon.org/wp-content/uploads/2017/05/jacqui-logo.png Jacqui2011-04-01 07:48:162011-07-07 15:04:17Foreword to David’s Box: The journal and letters of a young man diagnosed as schizophrenic, 1960-1971. Roughly 1% of people in the UK suffer from something called ‘schizophrenia’, yet there is little agreement about what this represents, what causes it, or how best to treat it. Despite the thousands of research studies carried out, if you’ve been diagnosed with this ‘disease of reality’, it is extremely unlikely that anyone will have asked you about your experiences – these are not considered scientifically meaningful. All these contradictions pose an important question: if ‘schizophrenia’ represents a fault in reality, with whom does this fault lie? ‘This is one of the most important films ever made about psychosis.’ Professor John Read, award winning researcher and co-author of Models of Madness, and Prejudice and Schizophrenia. Exile is an experimental stage performance; a fusion of computer animations, documentary, fictional narrative, music and fashion design. Exile tells the story of Kathryn, a woman who hears voices and who has built part of her personality based on them. Contrary to general prejudices she finds these voices helpful, even vital to her existence. How does she cope in the modern society where every alteration from the norm seems intolerable and problematised through social and commercial mechanisms. The idea of Exile was based on a general view that there is no flawless analogy in our individual perceptions. 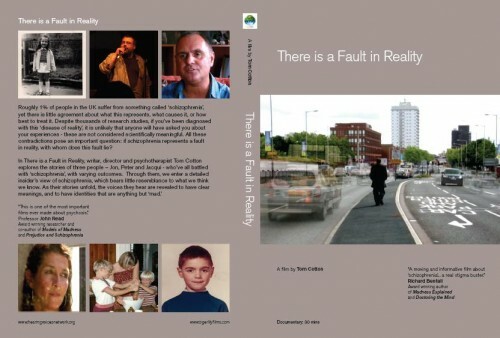 Contextual structure of the work was build around a documentary recorded in London in March 2006 in association with The Hearing Voices Network. On the soundtrack the fictional narrative intertwines with the documentary (audio) about an actual voice hearer who files an account about her life with voices. The stage act offers visual support to the narrative. Spectators witness the gradual effects a medical attempt to eradicate Kathryns internal voices have on her. While she gradually loses her control over the voices she also surrenders her physical composure and grip on reality.